I am currently at the University of NSW Research Station at Fowlers Gap near Broken Hill, the internet connection is from one office away from where I am staying. I will provide some links to some of my work below. This page is published privately on this site. The blog is personal and evolving. It is an opportunity to show some photographs including from current location. There are links to two posts below. Bushcare’s Major Day Out is a volunteer activity of mine. 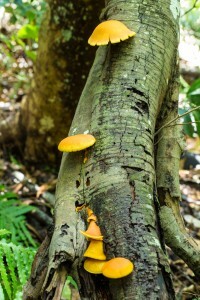 It is a national day to get people to try out volunteer activities in their local bushland. I am one of the founders and have produced the website and are responsible for most of the content. Since I produced this site for 2012, I have more of an idea about how users will interface with it and have developed a new design. Please note that this is a rough design done by me – it is waiting on a grant to be able to pass it on to a designer. Importantly, it is designed so that the three panels will be filled by extracts from the latest ‘post’. 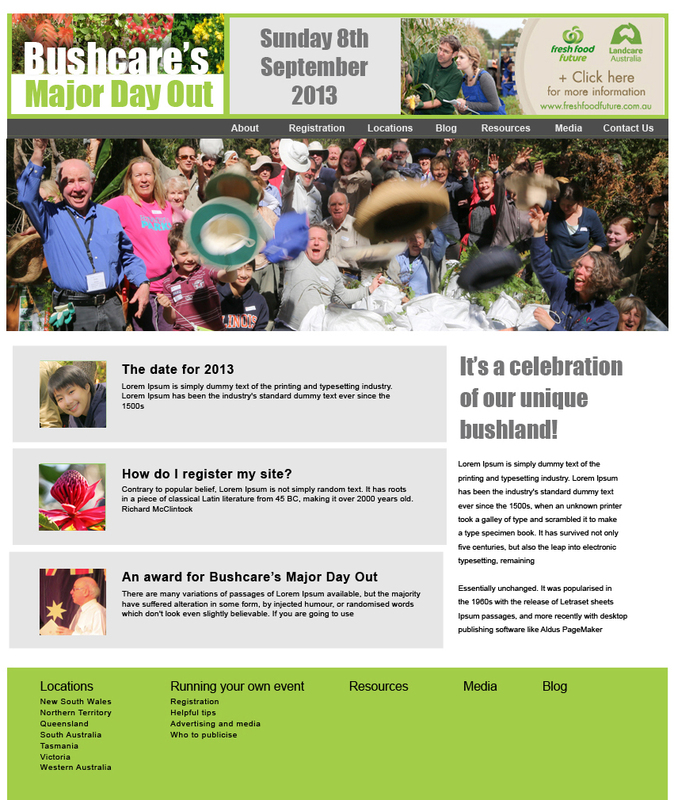 You might also like to view Bushcare’s Major Day Out’s Facebook page. It will be springing into action again soon. I have also been working voluntarily on some walks around my suburb, Walter Burley Griffin designed Castlecrag. This will comprise a brochure/map (Walks_A4_BrochureALT not designed by me but it might help you understand the project) and a mobile application highlighting some places of interest around the suburb. This is in progress. Here is a sample of what I have written for a couple of locations. Location 4. Where is this taken? It is difficult to understand just exactly how this picture relates to what you see in front of you, isn’t it? It was taken in 1922, the area was apparently cleared of vegetation by people from the surrounding area for firewood. Griffin’s vision for Castlecrag was for a bushland suburb where the built environment blended and was subservient to the natural environment. 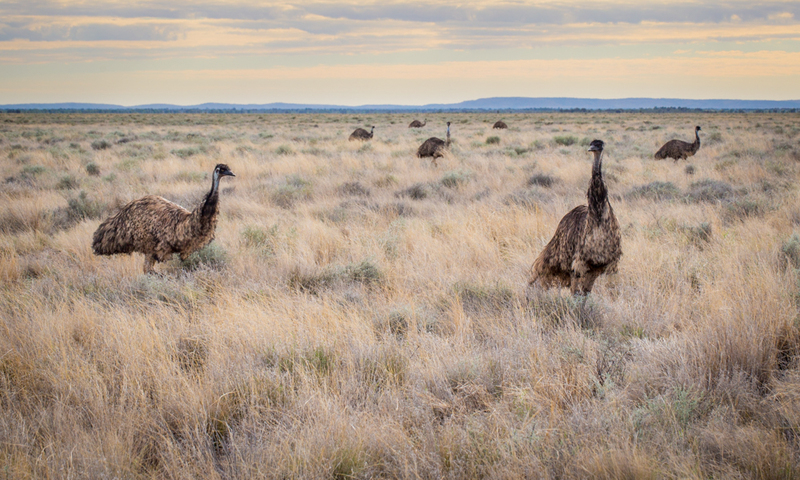 The photograph serves as a reminder that the vision involved re-establishing not simply preserving the native vegetation. The stunning view in the background is Middle Harbour, the last headland is North Head at Manly and in front of that is the Spit, well before the Spit bridge had been built. The house in the foreground is the first Greater Sydney Development Association (GSDA) house on Edinburgh Road, number 136. The house in the background immediately behind is still recognizable by its pitched roof. That’s the Johnson House number 4 The Parapet, one of a number which were built for the original investors and board members of the GSDA in Castlecrag. The other houses (to the right) are still there, number 8 and number 12 The Parapet. don’t need to say anything, just listen. The Cammeraygal (? Check) would’ve known plenty about Dadirri or deep listening. They would’ve loved this coachwood forest and would’ve walked along Sailors Bay Creek for thousands and thousands of years. Listening. Deep listening. What could it mean, dadirri? Do you think it is still relevant? Aboriginal writer Miriam-Rose Ungunmerr-Baumann describes deep listening as follows. Although this needs updating, there are some projects of which I am quite proud. It is a flash site so please use the menu navigation to the links I have mentioned below (or simply have a look around). The Powerhouse Museum Nuclear Science exhibition. This is a large permanent exhibition within the Powerhouse Museum some of the elements are reproduced here. I used multiple designers and various production people. I wrote much of the content. If you would like some information on this job you could call Arthur Menasse at the Powerhouse Museum 9217 0217. Fairly typical of the kind of work I do regularly can be seen here. I use a site/page like this to update clients with a particular job’s progress.